If you decided to reach your welcoming city much before starting the classes in order to enjoy it with a lot of free time, this article will be of interest to you! 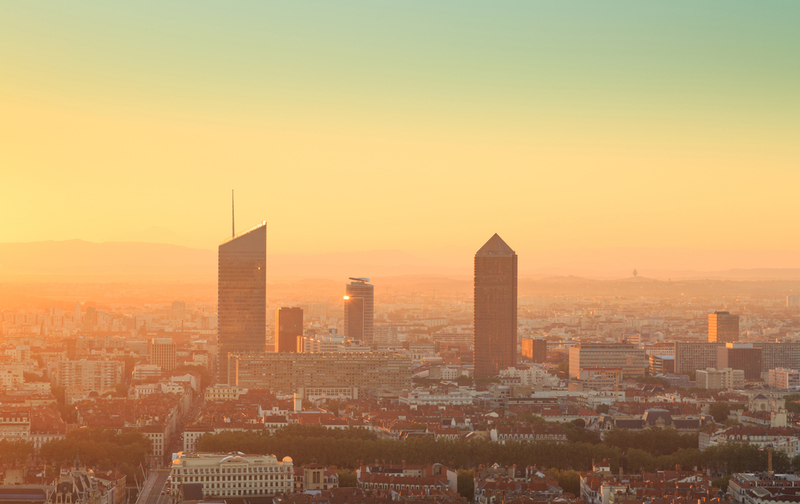 People on vacations, students at home: it is pretty desert in August but this is good news: Lyon is yours! Desert but not least alive: outdoor spots, open air movies, lakes and great landscapes are waiting for you in and around Lyon. Let’s have a non-exhaustive overview with some nice options! Back packing advice: make some space for a good sunscreen! The sun beats down and the funnel-shape of the city intensifies the heat feeling. In other words, you could have the feeling of evolving in a huge oven! Fortunately, you will find here several cooling means in the city and the region. Well, we mention it very, very often, but it cannot be overlooked! The Tête d’or park is a true lung within the city. Huge stretches of grass, a nice botanic glasshouse, many shady parts (and you will like it!) and a lake to be crossed on a pedalo: pick your choice. If you’re ready to search, you will even find an outdoor piano with someone playing (well) on it: sit down under the trees and enjoy! Searching for a spot to enjoy a picnic with your new friends? Well, the river banks will delight you! You can either sit down on the grass along the Rhône banks, ending the evening by dancing on one of the barges; or watch a sunset on the Saône banks which were greatly developed for people to enjoy it! Picnic time is of course not the only one: it is a great pleasure to lay down on the banks to read a book, go brown and simply enjoy summertime. 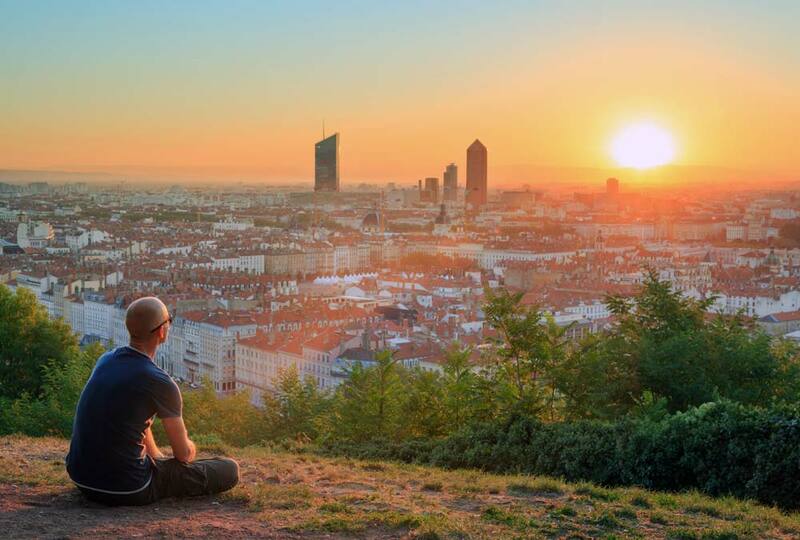 This one is a hidden park on the heights of Lyon: you will not see many tourists there and the view is breathtaking! It is also called the “Montreal garden” as it was offered by the Montreal city to celebrate the 20iest anniversary of cooperation between the two cities. Funny chairs, designed by Montreal architects, will let you comfortably enjoy one of the best view on Lyon. If the weather is good, and the sky is clear, you will even sight the Alps in the background. Lyon offers a great outdoor swimming pool greatly located along the Rhône banks. Well, it is pretty crowded during summer holidays but it is still a nice way to refresh yourself some metro stations away from your accommodation. It will cost you 8 euros or 50euros for a 25h card. Bubble bath and much more equipment are available for you to enjoy! The swimming pool is warmed and opened all year long. 20 minutes away from Lyon, you will find a free entrance park including 3 beaches, great stretches of grass for a nice picnic or barbecue with your friends, and a lot of open air activities: rowing, canoe, fishing, tennis and much more. You can either go there by bus [Bus 83 from the Laurent Bonnevay metro station] or by bike if your calves are strong enough and ready to go for it! 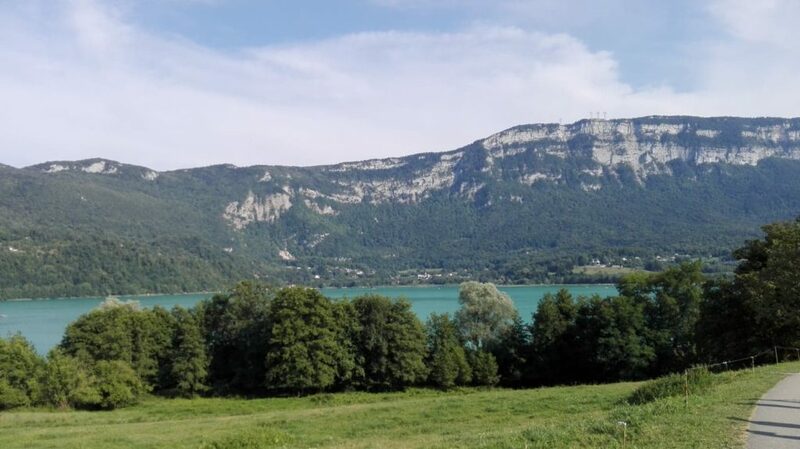 The third biggest lake in France offers a stunning surrounding and a great view on the mountains. The water can reach 28 degrees in the summer. You will find there 7 beaches and many activities such as canoe, pedalo, pétanque and much more. The entrance costs 2.5 euros but the amazing panorama worth it! The lake is 97 km away from Lyon but you can find means to drive there by sharing or renting a car. 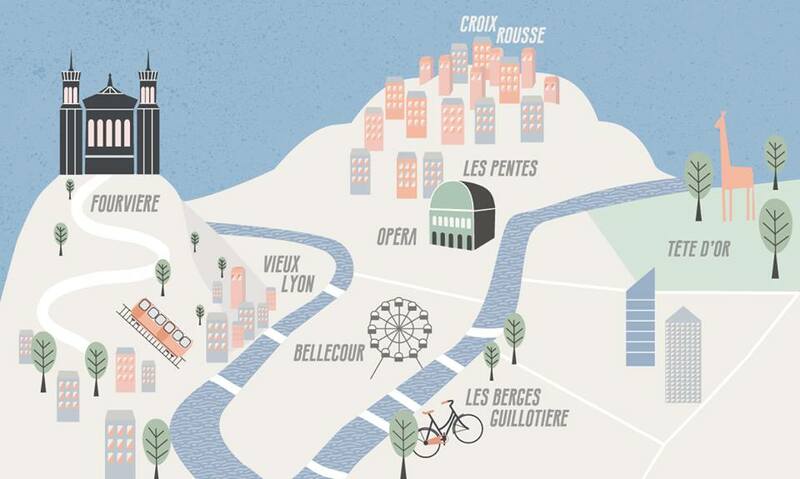 Put your best shoes on and start discovering the main districts of Lyon. Article: Discovering Lyon, where to start? The full cultural program didn’t start yet but still, you can find some great events around. Outdoor movies, concerts, theater plays, dance shows: you should find the one matching your tastes and expectations! Let’s have a short overview of them. Several organizations offer to enjoy outdoor movies in different areas of Lyon. Lion, Wild tales, Saturday night fever; are just a few of them. Bring your candies, popcorn, a jacket and chill in front of a huge screen in the city of cinema! The program have already started but some movies are left to see. You will find the complete programs on the links below. Lyon celebrates the summer in this eclectic festival running from the 21st of June to the 02nd of September. Around 300 events gather concerts, theater plays, dance or sport together. It is happening everyday in all districts of Lyon, and everything is free! Why not taking a dance lesson, sit down under a tree and listen to some narrator or take part in a yoga session at the Tête d’or park to start the year fully relaxed?! It is the 20iest anniversary of the Woodstower festival and the team has designed a great program to please your ears! From the 20th of August to the 02nd of September, hip-hop, electro and soul music will rock the Miribel park to end the summer properly! NTM, one of the best French hip-hop band of all times will even be joining. A great way to discover one of the monument of French culture. A camping site is at your disposal, and you can go there via shuttles. NextThey suscribed to our students support: feedback!